Put your petanque passion up to your pocket ! This wonderful key ring in 3mm authentic leather will perfectly assemble your keys. Rigid, it doesn't twist. Its diameter of 40mm allows to find him easily in a bag. The pattern is engraved on the leather, and will not remove. It's a beautiful accessory to offer or give yourself ! Sport backpack with a bottom pocket with a rigidifier for petanque balls ( or shoes). 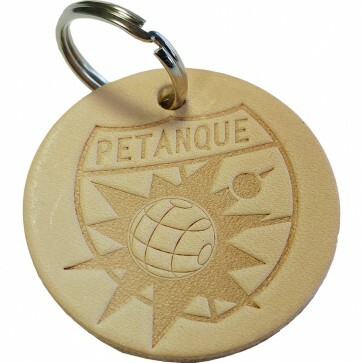 The casual petanque ball made by a specialist of the competition! Open any type of bottles with the lemonade PetanqueShop! Opt for a bag for balls of petanque solid and resistant!